Evaluation and Treatment of speech, language, social skills, apraxia, autism, cognitive, attention, executive functioning, play development, feeding, and oral motor skills. Individual and small group work. In home or school consultation, support, and program development. Early Intervention services and screenings for home, schools, and child care facilities. Family and teacher education and support. Social thinking and emotional regulation. Mindfulness programs for the child and family. 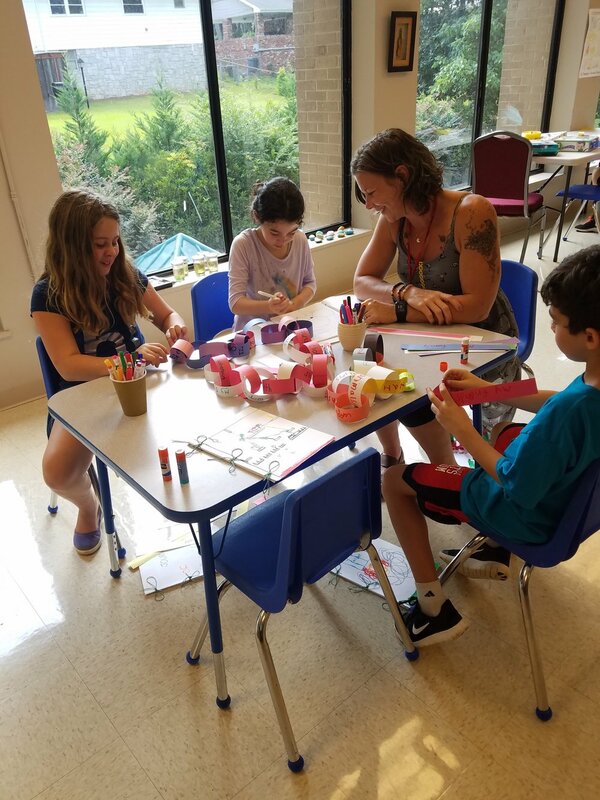 Social Saturdays are monthly meetings held at Camp KindTree Kids (Decatur) where mindfulness meets social thinking. This program uses the Social Thinking curriculum and embeds the concepts of using mindfulness as tools to navigate social problem solving. These workshops bring an opportunity for take home concepts and some fun while the kids learn these new breathing and self-awareness in the safety of compassionate guidance. Register here. Holiday and Summer KindTree Camps are drop in, half-day holiday and week long summer camps are similar to the Social Saturdays but offer a little more time (read: a little more fun!) for learning social thinking concepts. 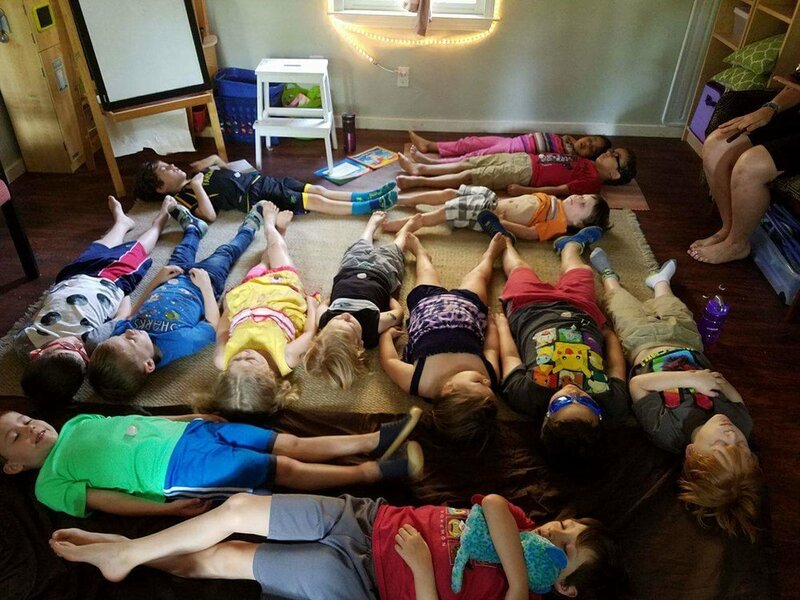 These camps usually cover a broad topic like making friends, being flexible, managing anger, kindness, love, peace, balance and the children learn breathing techniques as well as mindfulness tools to help navigate social problem solving. Workshops: Danielle and Anita have combined their years of experience with children and families (in and out of the classroom) to develop some meaningfulw workshops with effective tools that enable a parent/caregiver/teacher to connect to a child/group and navigate problem solving where all parties feel heard and validated. Communication Interventions and KindTree Kids Programs are passionate about education that leads to success and confidence! Mindful Mom Mondays: COMING SOON! Danielle and I feel strongly that we need to create a community that offers fellowship and support for the woes of everyday parenting! Mindfulness offers parents and caregivers ways to really get present and determine what the need is, who this is about, and how to address the needs. There are so many pieces of this process, but taking the baby-steps needed and practicing with humor and grace together will allow for us to get the hang of these moments! SOCIAL MEDIA SUPPORT. Follow us on Instagram and Facebook in order to get little snips of #projectreality life as Anita guides us through her own life (@morleysgirl) as well as the more formal offerings and ideas through @speechatlanta1 (both IG and Facebook). Mindfulness Parenting Coaching and Consultations are detailed guidelines and plan of action for your specific needs of things you would like to see change (at home, at school, etc.). One on one consultation to find out what will work best for the changes you need to bring balance and compassionate boundaries to your family unit. We offer integrative classes for babies and parents. Better Brains for Babies classes cover a wide variety of developmental and nurturing care techniques for families, teachers and caregivers. Contact us for more information.